Just in time for Halloween, it's a FREE all-ages flip-book comic reprinting classic BATMAN and SCOOBY-DOO tales! 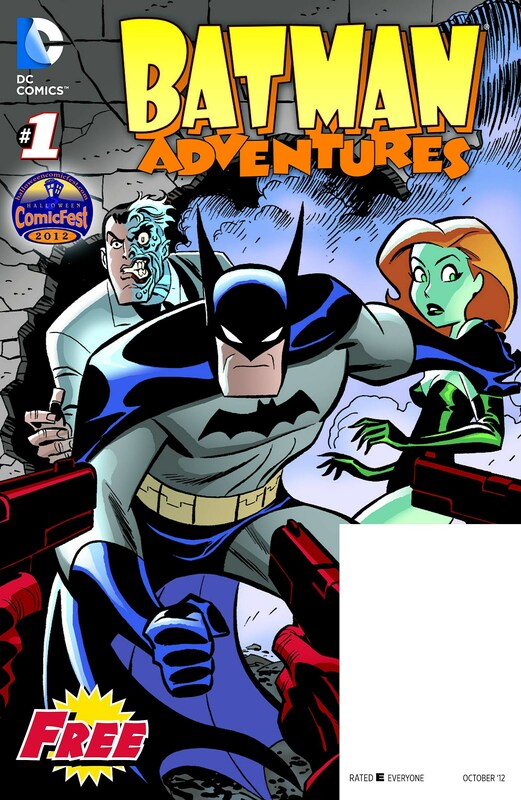 In his side of the comic, The Dark Knight meets Gotham City's new vigilante, the Cavalier, and battles the evil of Ra's Al Ghul in stories from BATMAN ADVENTURES #1 and #4. And in the other side, the Mystery Inc. Gang tries to get to the bottom of "The Costume Caper," in a story from SCOOBY-DOO, WHERE ARE YOU? #2. 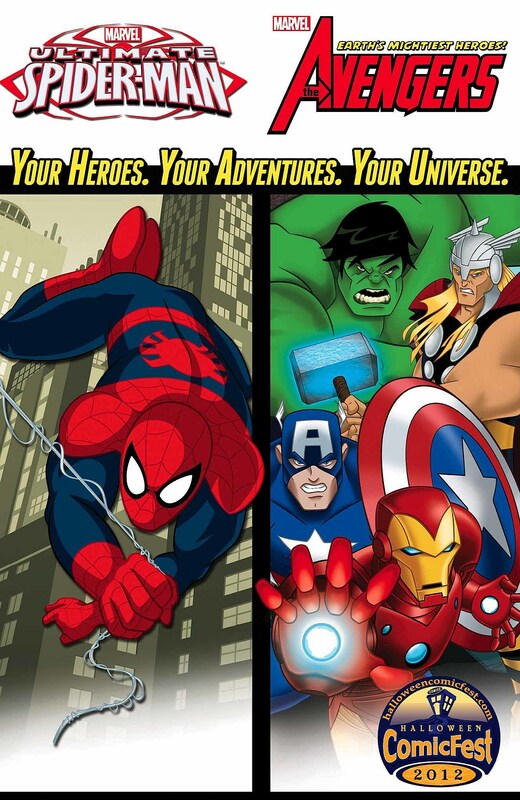 Celebrate Halloween with two thrilling tales featuring everyone's favorite Wall-Crawler and the Earth's Mightiest Heroes! It can't get any better than free Spider-Man and Avengers comics, so don't forget to stop into your local comic shop and pick up a copy! Heh, heh! Got a real chiller-diller this time fiends! 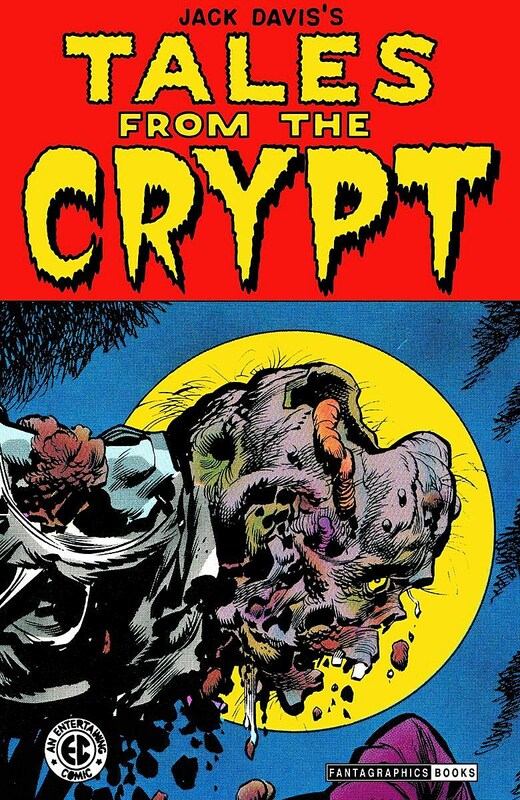 Join me, The Crypt-Keeper, your host of howls, along with Jack Davis and Al Feldstein as we creep our way through four spine-tingling, hair-standing, blood-curdling tales of terror from the vaults of EC Comics! We'll scare you silly! Trick or treat? Treat!! Book measures 6.625" x 9.187". First time in print! A long-dead gangster is terrorizing Times Square, wreaking horrific havoc on a building that once housed a spirited speakeasy. But the place is now a toy store, and when the ghostly gangster starts shooting ectoplasmic bullets at terrified patrons, the Ghosbusters - Egon, Ray, Peter, and Winston - are called in to nab the speakeasy spook! 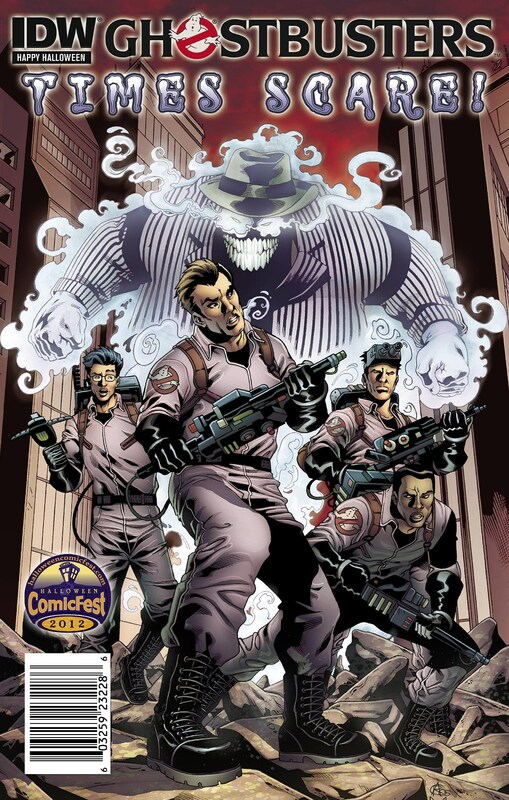 Written by Brian Lynch (Angel, Spike, Teenage Mutant Ninja Turtles) and illustrated Marcelo Mueller (Lady Death, Aliens), Ghostbusters: Time Scare! serves as a hauntingly hilarious gateway into IDW's smash-hit line of Ghostbusters comics! In the madness of the Zombie Apocalypse, amid the throngs of living dead and terrified victims, the Littlest Zombie roams. He's just an inquisitive chap filled with curiosity about the world on fire around him. Pushed around by his fellow undead (who always get to the brains first), and positively frowned upon by the remaining living citizens, the poor little guy just wants a friend. And maybe something to chew on. Like your face. 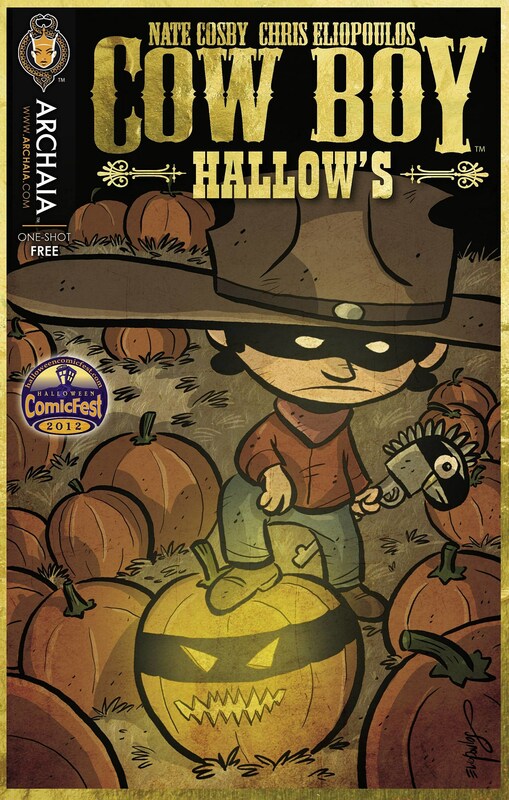 Our 2012 Halloween mini-comic flip-book features 3 short stories! 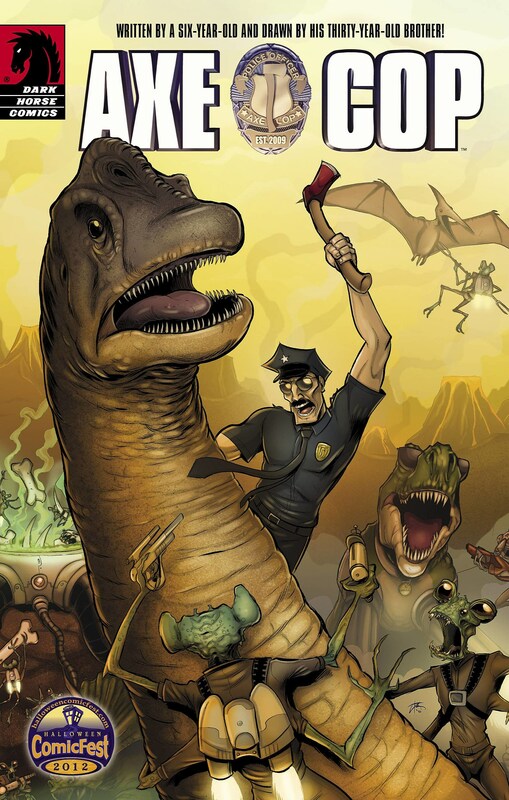 One side features the boys of the Weasel Troop in a SCOUTS! short story, "Meet the Pets". 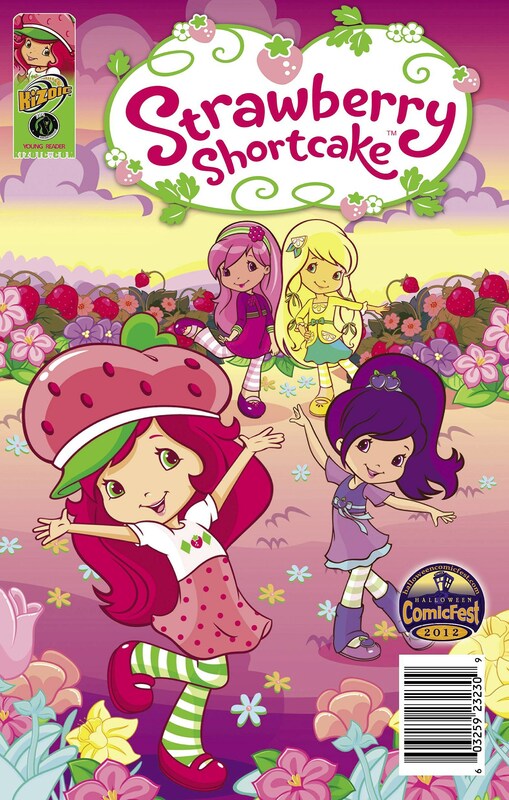 And the flip-side features the stories from our wildly successful STRAWBERRY SHORTCAKE comic, "Custard & Cake" and "A Little Kitchen Help"! This sweet treat is sure to please boys, girls, AND their parents! All y'all step right up for the showdown of their century: Cow Boy vs. Billy the Kid! From the acclaimed team of Nate Cosby (Jim Henson's The Storyteller, Pigs) and Eisner-nominated Chris Eliopoulos (Franklin Richards, Misery Loves Sherman) comes an all-new Cow Boy yarn from Archaia Entertainment, just in time for Halloween, and for free! 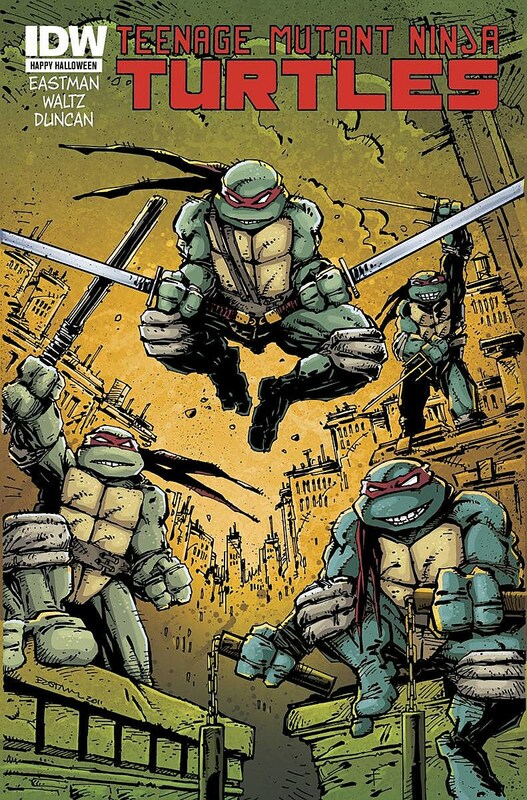 Red Circle Comics proudly presents the next generation of super heroes: The New Crusaders! From the ashes of the past, a new generation must rise! 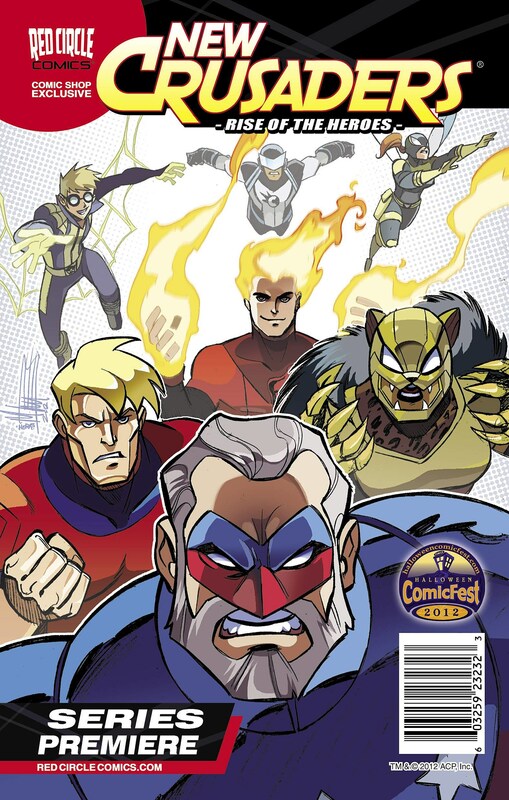 Get acquainted with the most exciting group of young super heroes that comic books have to offer in this free introduction. Get The New Crusaders! It's ADVENTURE TIME! 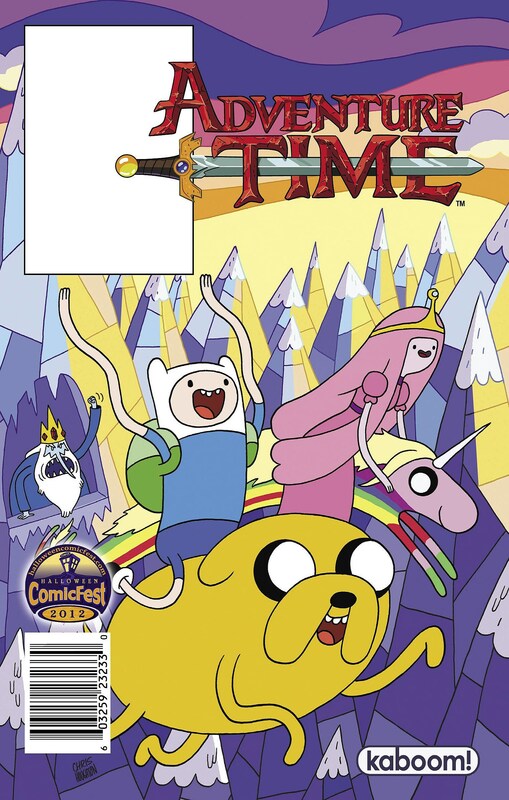 Join Finn the Human, Jake the Dog, and Princess Bubblegum for all-new adventures through The Land of Ooo. The top-rated Cartoon Network show now has its own comic book! With the show exploding in the ratings, garnering rave online reviews, major cosplay at the San Diego Comic-Con, and huge displays dominating the New York Comic Con, it's clear fandom is obsessed and 2012 is the Year of Adventure Time! Don't miss out on this new phenomenon! 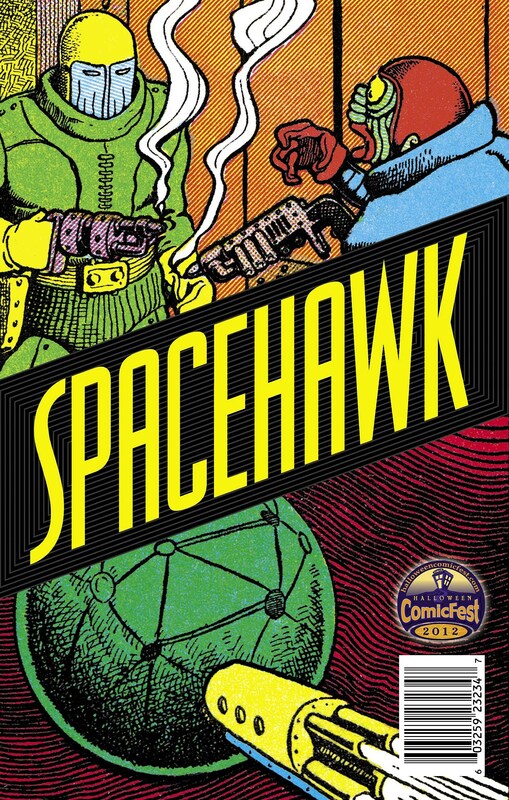 Blast off into outer space with Basil Wolverton's weird and otherworldly SPACEHAWK! Two tense and terrific tales of terrible adventure and tumult from comics' Golden Age! You ain't seen nothing like this! 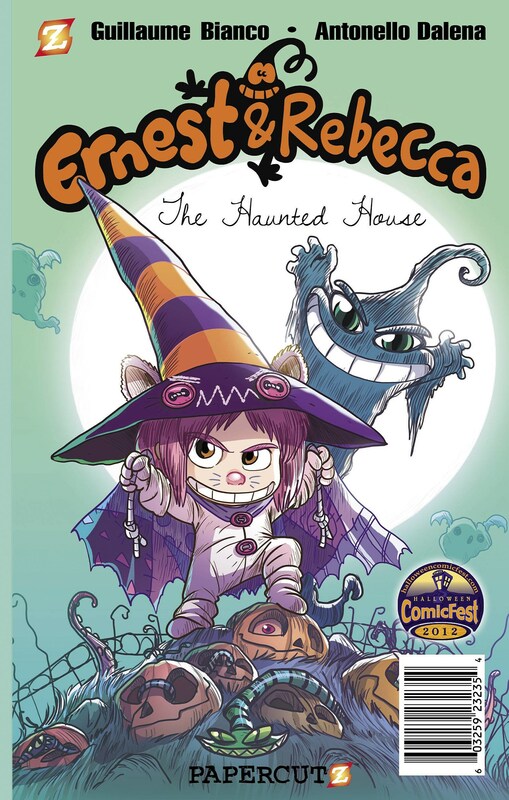 Papercutz presents a special Ernest & Rebecca minicomic for Halloween! Rebecca is a vivacious 6 1/2 year-old girl whose best friend happens to be a germ named Ernest. He's not only her best friend- he's also her partner in mischief, adventure companion, and confidant. An inseparable duo, the zany adventures of these two continue to delight in this award-winning series from Papercutz. Johnny Boo is the best little ghost in the world. Don't believe it? Just ask him! What wacky Halloween adventure are he and Squiggle up to now? Plus: meet Harold, the star of Upside Down: A Vampire Tale. He's a friendly vampire kid who loves candy, so trick-or-treating is just about his favorite thing in the world! 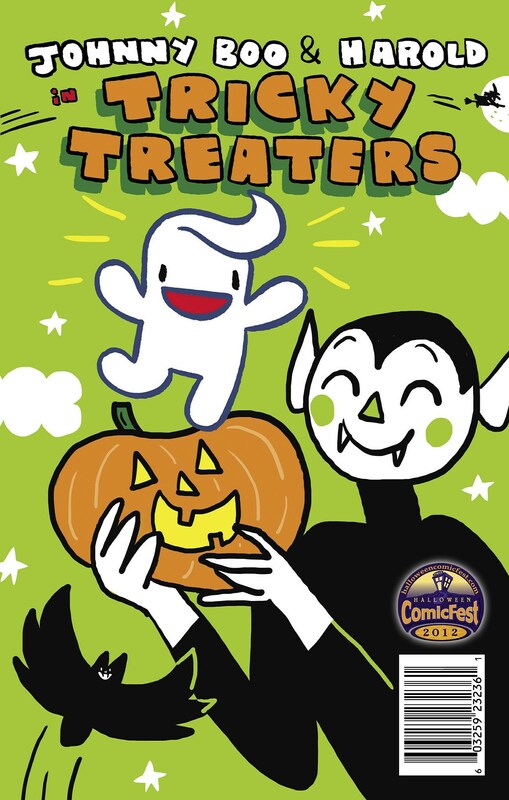 Tricky Treaters is a blast for all ages: a great introduction to James Kochalka's hit series Johnny Boo and Jess Smart Smiley's delightful debut Upside Down! 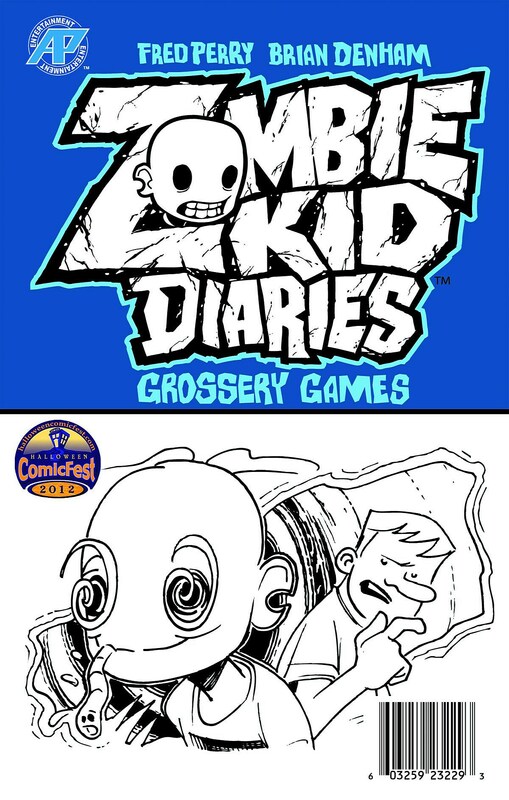 Grab this free mini-comic and spook yourself silly! From Viz Media. 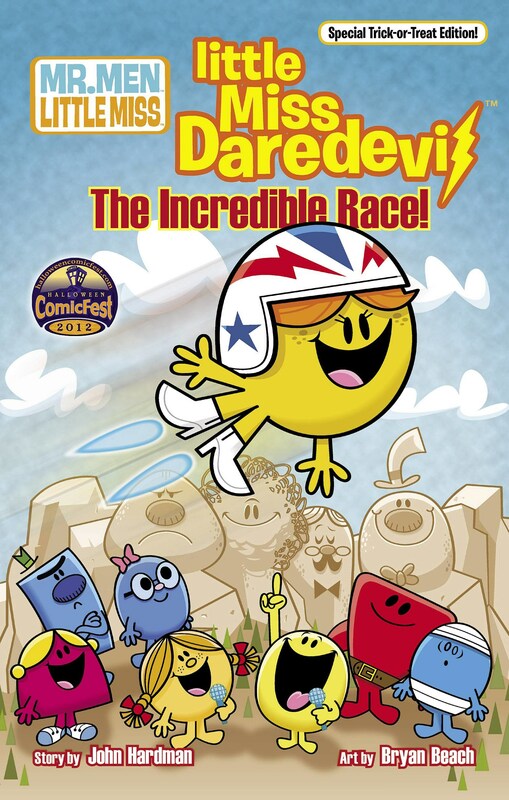 Little Miss Daredevil is competing in the Incredible Race, and she's in it to win it! Whether scaling to the top of Mount Dillydale or taking a wrong turn and rocketing into outer space, no thrill's too thrilling for Little Miss D!